Americans are increasingly whipping out plastic to pay for their purchases. This growing reliance on credit cards resulted in Americans closing out 2015 with more than $900 billion in credit card debt, according to a recent credit card study by CardHub. That means the average U.S. household is shouldering the highest amount of credit card debt — more than $8,000 per indebted household — since the Great Recession. It's a troubling (and disappointing) trend, especially when you consider just 18 months ago,many Americans reported either taking the scissors to their credit cards or making sure to pay off their balances in full each month. But more Americans seem to be practicing "swipe now, worry later" spending habits. "Many consumers are focused on immediate gratification; it is very easy to pull out the plastic and make instant purchases," Laura Beal, a lecturer in finance, banking and real estate at the University of Nebraska at Omaha, told CardHub. In addition to factors like income and financial literacy, CardHub said where you live plays a significant role in how well you manage your credit card debt and how high that debt rises. Based on residents' average credit card balance and income, College Station, Texas, has the longest estimated payoff timeline at 387 months (more than 32 years), which is 47 times longer than the shortest payoff timeline, 10 months, for Cupertino, California. 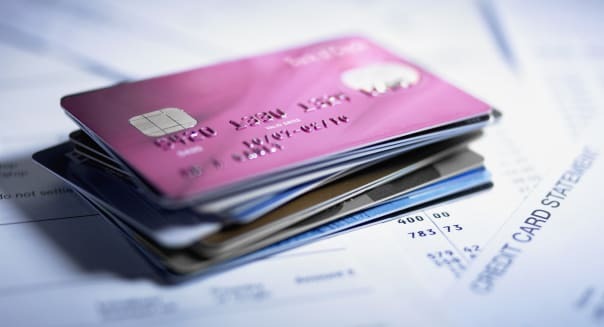 Americans added $21.3 billion in new credit card debt during the third quarter of 2015, which is 71 percent higher than the post-recession average. For help finding the perfect credit card, including rewards cards, be sure to visit the Money Talks News Solutions Center. You can also find help with credit-card debt, credit restoration and debt collector harassment there. What do you think of Americans' increasing reliance on credit cards? Share your thoughts below or on our Facebook page.